When the district heating equipment functions well, the room temperature is constantly comfortable and stable and there is always plenty of tap water of the right temperature. Customers need not carry out any control or monitoring tasks related to the piping. Correct adjustment of room-specific thermostats in each apartment is all that is needed. Room-specific thermostat valves take into account the extra heat obtained from the sun, electrical appliances, lighting and people. The thermal radiators are warm only when the room temperature falls below the set value. The radiators are functioning correctly when their upper part is warm and the lower part is almost at room temperature. The recommended room temperature is 20–22°C, while a suitable temperature for the service water is 55°C. It is easy to monitor your energy consumption. The district heating company reads the meters remotely or, alternatively, the manager of the property’s district heating equipment provides the meter readings to the district heating company according to instructions. A consumption report is sent to the customers at least once a year. These reports provide information about the consumption in your own house, as well as the heat consumption of other similar houses in the area. 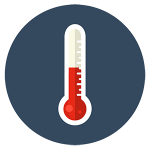 The weather has a significant impact on the annual consumption of heat, and therefore a temperature adjustment has usually been made on the reports. If the current consumption differs considerably from the figures for previous years, it is advisable to inspect the adjustments and condition of the equipment. 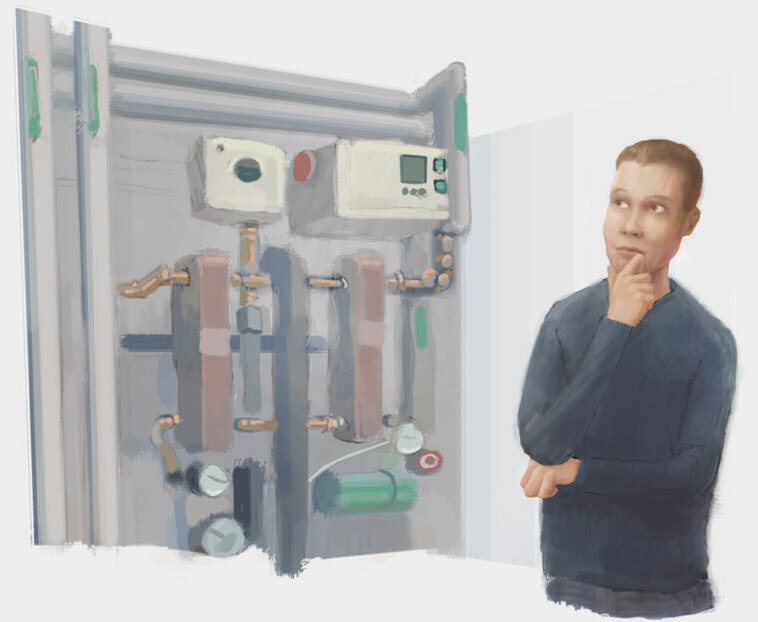 Many district heating companies also offer their customers an online service where you can monitor your energy consumption even by the hour. It is possible to quickly detect faults or incorrect functioning of the equipment by monitoring the hourly metering data. Housing company residents can request their consumption data from the housing manager or the manager of the district heating equipment. It is a good idea to attach the district heat consumption report with the material distributed for the annual general meeting or put it on the entrance hall notice boards for the residents to see. Electronic communication channels can also be utilised to distribute the report. Many district heating companies also provide their customers with a cost forecast for the next heating period. Your heat supplier will provide additional information on your energy consumption and metering on request. Please inform your district heating company if you have carried out any saving measures in your house, if you stop heating your premises for a longer period or if there are any other changes having an effect on energy consumption. Thinking of replacing your equipment? Everyone can contribute to their heating solutions and costs when choosing the form of heating and when acquiring and using appliances. If you are planning to renovate your property, it is worth making an appointment with an expert who can take a look at your property and find you the heating method that has the most favourable overall economy for you. The condition and functioning of ageing equipment must be inspected on a regular basis. A full survey is recommended for the equipment after 15 years of service at the latest. Condition inspections and surveys are carried out by district heating companies, heat contractors, equipment manufacturers and HVAC designers. Ineffective equipment should be replaced in full, not one part at a time. Minimising inconvenience caused by equipment replacement. New district heating equipment takes less room than old equipment. Moreover, the increasingly versatile and accurate heat control automation helps to reduce heating costs. Replacement of district heating equipment can also be carried out during the heating season. With thorough preparation work, the period of inconvenience to the residents is very short. Good planning guarantees an efficient replacement of district heating equipment with a high-quality end result. During equipment replacement, the district heating company will help its customers by providing advice and inspecting the plans, dimensioning and installations.